ROAD TOWN, Tortola, VI - In a brief statement following the decision of the No Confidence Motion today August 1, 2017, Leader of the Opposition Hon Andrew A. Fahie (R1) said, "Everyone who wants to be honest and fair must realise that our Territory's finances are going down a slippery slope and so is our economy." He further stated that the decision made by elected members is only putting the Virgin Islands people at a disadvantage, rather than having their best interest during this time. "Before the week is over, I will be addressing this entire matter with the people of the Virgin Islands in a speech," remarked Hon Fahie. The Leader of the Opposition commented that he stands by his actions, adding that he is doing this for the people of the Virgin Islands. "People of these Virgin Islands urgently need; an economy and the restoration of our finances to reflect accountability, transparency, good governance and adherence to all financial laws, especially the Protocols for Effective Financial Management." Hon Fahie, who brought a motion of No Confidence against Minster of Finance Dr. Smith, found zero support from anyone in the House of Assembly resulting in the motion going down in defeat. The anticipated No Confidence Motion brought against the Premier and Minister of Finance, Dr the Honourable D. Orlando Smith by Honourable Andrew A. Fahie (R1), Leader of the Opposition was knocked down with no support from the other members of the House of Assembly (HoA) today August 1, 2017. In fact the only member who would have possibly supported the Motion was Hon. Julian Fraser, RA (R3). The motion needed someone to second it in order to move to being discussed. Since Hon Fraser is the only other Opposition member, all eyes were looking for him for the crucial “second”. However, when Honourable Ingrid Moses-Scatliffe, Speaker of the House called for someone to second the Motion, the HoA went silent. The Motion was against Hon Smith for not handling the Territory's finances with accountability and transparency. 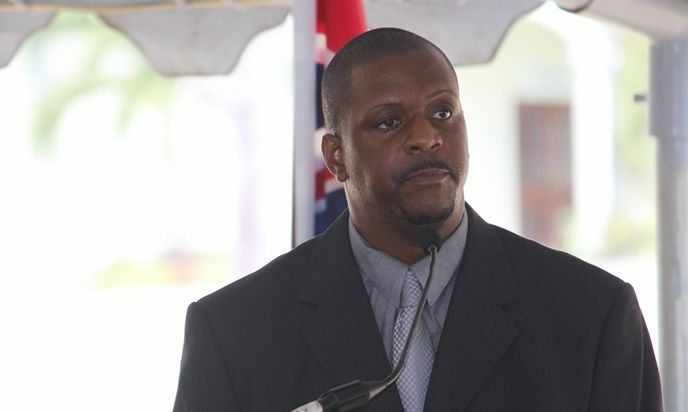 The relationship between Hon Fahie and Hon Fraser has been strained following Hon Fahie’s election at the Leader of the Virgin Islands Party (VIP) and Hon Fraser’s discontentment with the treatment that has been meted out to him by the new party leaders. Hon Fraser was not present in the HoA during the time when the No Confidence Motion was being heard by the members of the House. Most persons in the ndp know that it is best for the country to remove Orlando from being the Minister of Finance but they afraid to do what's right. Come next election we the people will decide. 2 years have already gone. i guess u find NDP credible? The Lord see for us in the BVI with this decision to leave the Doc as our finance minister. Things will get worse. Sigh, how long you living in the Virgin Islands that you don't know the process of how to remove the Minister of Finance. People must learn the Constitution and Parliamentary Rules and Practices before they start blogging unintelligently. Fahie did his best to get the ndp to do the best thing right now which is to get a new minister of finance but they choose party politics over people's well being. First I say hip hop hip horay to the only lion in the HOA HON. ANDREW FAHIE. Second I say that Fraser is a COWARD! One thing is to have personal or political disagreements with someone but when it comes to putting your feet in the fire for the people who elect you there should be no games nor excuses. Third, I am ready for the Brits. Please come save this country. Dats BVI u will never see anyone voluntarily give up dem power and position. I like this guy Andrew. He got balls. Fahie you need Fraser boss one man army does not work! Not seconding fahie motion as the other opposition member is low low snd devisive as the deepest valley...Disappointed to the Max. All I wanted was the matter to be debated. I want the people to look in the mirror and see what is happening. You have a set or politicians who make laws to BREAK them set a precedence on those who commit other crimes. Then you have those who out right support these high end criminals but they don't have any one policing these high end criminals and when it is time to bring the matter to the public members take it personally and don't show support. So somebody have to police all of us because it has gotten to an all high out of control situation and it trickle down from the high white collar criminals to the low black sheep criminal. So Gov. Duncan time to exercise this power move of direct rule. i agree. fraser should have put his personal issues aside and backed the party leader in such an important motion for the people of the british virgin island. .......... shame on you ......you've cost us. it just goes to show that you dont care about those who trusted you enough to elect you. wont happen again. Many of you have been slighted and we'll know that you have absolutely nothing to do with that person afterwards. Childish behavior and if we call ourselves Christian, forgiveness is one of the qualities we should imbue. Unfortunately this is far from the truth and we are an unforgiving society. NDP with an 11-2 advantage in the HOA, it is no surprise that the motion to remove the Premier as MoF fail. Additionally, Fraser’s absence from the HOA during the motion was no surprise, for if there were any doubt that Fraser move on from the VIP his action clearly showed it. It is poor leadership, performance and behaviour for one who had/has ambition of becoming Premier. He lacked the courage to say he has moved on, straddling the fence and making believe that he is still a member of VIP. This is not the type of performance that is characteristic of a true leader. For young and emerging politicians, this is not behaviour that you should emulate. It is clear now why the VIP took a beat down in the last election. It is also clearer that those who were claiming they were behind him were fakes. Imagine what they did to their own must less you or me. With a 11-2 and his own man on his team didn't second it, isn't that shameful you don't beat up and go against your own kind man come on ! I was not going to respond but my conscience would not allow me to. To all the 'monkey see monkey doers' I think it's high time you stop your silly blogging with out substance and lay off Honorable Fraser. You talk about country above self but you seem to forget that it was Honorable Fahie who started this entire thing!!!!!! I always remember hearing my elders say there's a right way and a wrong way in dealing with a matter and the way that Fahie went about this 'over throw' was despicable to say the least. This is the similitude of 'Jacob and Esau' and this situation will have to run its course just like those two brothers' fiasco. Trust me if you have never been 'stabbed in the back' before, you cannot begin to imagine what its like. The pain doesn't go away so easily no matter how 'Christian' you are but I believe again, that TIME heals all wounds. I leave with you with the words of the late great Brother Bob 'Man to Man is so unjust, you don't know who to trust....' So to you bloggers, go and get some 'Black History' in your soul and spirit for it is in revisiting that we can press on with renewed vigor and hope. @ Refrain it look like you 'bun' some of them that their hands stick on the dislike button. Good thing, people need to look at things objectively before they start opening their trap and creating more confusion. Fraser wrong and Fahie wrong. Let it be people, it will work itself out. What a sad day my gosh lord have mercy!! How much longer before we can go all stop the bleeding from whats left of our democracy? Fahie if is one thing, your bloggers stay working win, lose or draw. Most bloggers may not be old enough to remember but this same issue was one the reasons why NDP loss the 2007 election because people were upset that the premier didn't keep Finance. Instead of giving it to Ronnie... Doc promising us to keep finance under his watch was one the reasons why NDP won in 2011. Ronnie had his chance with finance and the people won't happy... It tell us that we the people are either very hard to please or don't know what we want..
Hon Andrew Fahie has proven that he is a real leader. Those other elected politician has only shown that they are puppets. They put their leader over the entire country. This could never be good. This is really sad. I have lost all my respect for Mr. Fraser. He was suppose to stand with his member on this one, however he blatantly refused. These are the same people that came to the people that they are a team and because of power grab the two are not seeing eye to eye. This is very shameful and disrespectful to the people of these Virgin Islands. Its proves that all these politicians are interested in themselves. Hon. Fraser has shot himself and don't know. All of them could see that the country is hurting due to leadership but have turn their faces to greed. Let me assure you that greed would soon expose you. All of us talking about we shouldn't be talking about Britain coming back to rule her colony. If we can't police ourselves you don't think that somebody has to police us? We can't run a lawless country my friend. I love my country and I welcome the powers that make sure that we remain democratic and transparent. Long live the BVI. We are here celebrating emancipation and our leaders are leaders right back into the hands of slave masters. People wake up and see the facts of life. Hon Andrew would be given the rod by God to lead his people. Just watch and see. Judge, you being a judge will make the Order for Andrew to lead his people. Be still and know that I am God. If Andrew is patient, he will eat the fruit of the land. You can't be going around bullying your brothers and sisters to do what you want for your own agenda and expect to be successful. Vengence is the Lord's. He will fix it in his own time. Next thing, please do not call no one from France here to work New Orleans magic here. That day, your goose cooked. Can't mix God and mammon. Choose ye this day which it will be. Andrew need to ask the Lord for guidance first. The VIP was in power once and they were making triple the amount of errors than the NDP was doing. The people removed them and put in NDP. The NDP has done a lot of good for the country since they got in. Since Lavity died, the VIP has lost its vision for the country, which the word "vision" should have been their slogan throughout, knowing that's what Lavity stood for. The VIP so hell bent on victory, and it appears some pockets are itching, they are doing anything to bring down the NDP. We who have eyes to see are not saying that NDP did not walk in their own ways at times, but they love this country just as much or more than the current VIP. All have sinned and come short. Let NDP correct their errors, wheel and come again. Listen to the people, make some changes and steer the ship back on course. The NDP group has good intentions. Give them a chance. Fahie need to stop playing up with the White House. It needs someone on their side to keep giving it melee. Don't listen to Massa no more Fahie. Sad to say, Andrew is letting the White House use him to drive an agenda to get back at the NDP because some of the members let the White House know that they understand their history, they know the past and they will not sit idle to Massa whipping them again. They are prepared to go it alone just like when they left it for a bird sanctuary. I urge all elected leaders to have a bipartisan meeting and try to figure out what the vision for this country should be. Let all members speak freely and at the end of the day, see if you can't come to the conclusion that whatever is done should be done to further advance these islands that our ancestors left for us. Andrew need to really seek God's guidance. NDP need some oil, sackcloth, ashes and constant prayer to help them to regroup and look forward for the betterment of this country they all love to call home. We, the people, who are watchmen over this country, want to see the best done through unity, love, forgiveness and a double portion of vision for the Virgin Islands. God Bless our country, our sweet land of Emancipation!! Barry said, "hold strain people; hold strain." JF, I am disappointed in you. Not just over this no confidence vote saga but your overall behaviour of late. It does not demonstrate that you care about anyone outside of your hurt feelings. So your party rejected you from being leader or however it goes. Right then and there you were to decide if to stay or to go. Right now what are you doing? Seriously, what are you doing? You are not with the party and you are not going? The motion at least deserved to be debated although the Premier should not shoulder the blame. When there was the corrupted elections it was by an overwhelming landslide so the no confidence motion should be put to the entire party. I have no confidence in several ndp ministers, matter of fact all of them but that is another story. The VIP has a rich heritage of building the BVI, the only party to successfully do so. JF give some serious thought to what you want your VIP legacy to be. May be pass the torch over to Willock. So let's do a checklist of what the team could look like so when Vino do the third term grades, you could get a better marking. Dawson for 2nd, he heed to watch for those turn coats from JVD and Brewers Bay. Mrs Penn and Magistrate Rosan for East End, East End like it got a million districts. Don't take on any ndp jump ships. And look you have a seconder here for your motion. Amen.